A free listing consist of basic information like a logo, website and a description. A paid listing however is a excellent advertisement page. Not only do they look better. Paid listings come on top of every page; be it a tag overview, search result page or when a user is browsing a category. Paid listings always show on top, We charge a little fee, compared to the extra attention a paid listing gets. To make it even better we provide extra promotion on our homepage and social media pages. A sponsored listing is on top on all pages and is displayed on all pages, being a sponsored listing. 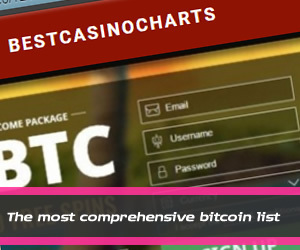 Featured listing in all categories except; Altcoins, Exchanges, Games and Faucets. Featured listing in; Altcoins, Exchanges, Games and Faucets. Do you want gain exposure to our userbase? To inquire, simply contact us and our team will be in touch.